If you are a parent of a teen, chances are you have felt out-of-the-loop at some point or another. You feel like your teen doesn’t talk to you anymore. They don’t tell you anything. They don’t include you on what is happening at school, in relationships, or with friends. They don’t share their worries or their stresses. They lock themselves in their rooms or hide behind their phones and shut you out. But, why? Why is it that teens don’t talk to their parents? 1.) They don’t want to get in trouble — This one comes up a lot in therapy. We teach them courage. We help them look at what is better: hiding the problem and making things worse, or coming clean, taking responsibility and facing things head on. 2.) They don’t have the communication skills— They simply don’t know how to talk about a subject, they don’t know how to approach it when speaking with a parent. In therapy we teach teens communication skills. We teach them how to be effective communicators and to think things through before starting the discussion. 3.) They want to protect us — They don’t want us to feel uncomfortable or to worry about them. They don’t want to feel like they are adding more to your plate. In therapy, we teach teens that it is up to the adult to protect the child, not the other way around. 4.) They fear judgment — They worry what are mom/dad going to think of me. They worry about disappointing their parents. 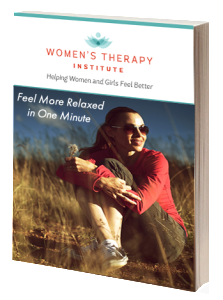 In therapy, we teach that it is ok to be authentic and we help them to navigate judgment in a healthy way. 5.) They want to be independent— They are teenagers. Of course, they want to feel like they are on their own. They think it’s cool to not tell their parents things. They want to figure it out on their own. In therapy, we teach healthy independence and when it is ok to ask for help. 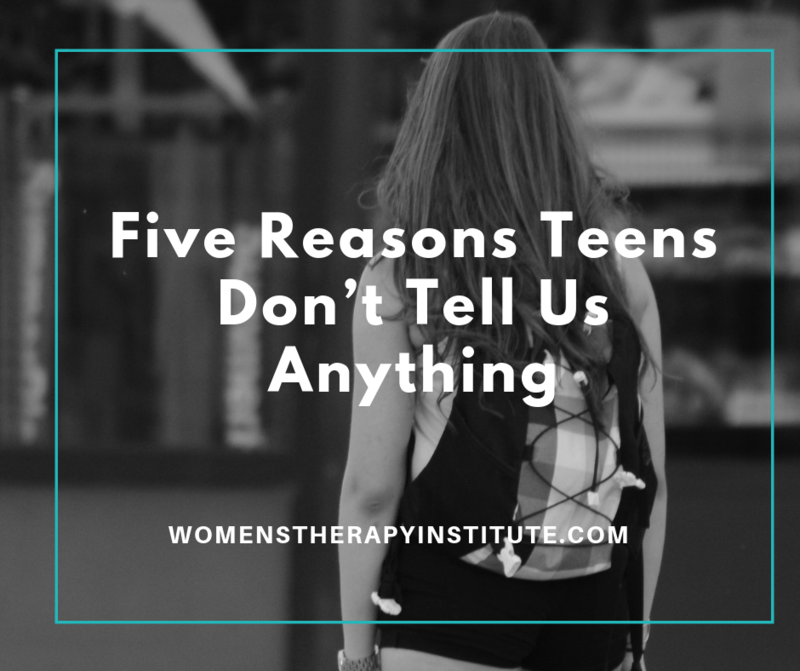 We want our teens to feel comfortable sharing things with us. The best thing you can do as a parent to help facilitate conversation is to be calm and approachable. Don’t jump to conclusions. Take your child to do special things, like go out for coffee or go for a walk in the park or to get ice cream. Those things will give them a place where they will feel more comfortable opening up to you. You can always seek out the help of a licensed counselor to help your child learn healthy coping and communication skills.